1. It’s okay to break free from the chord chart. It is common for church keyboard players to just play chord after chord after chord. However, sometimes it is better to break away from the chord chart and play an arpeggiated pattern or some other type of sequence. Keep in mind, this only works when there are other instruments, such as an electric or acoustic guitar, holding down the chords. 2. Simplicity is almost always the best option. Many piano players are classically trained. Then, when they start playing worship music, they gravitate towards making their part as complicated as the classical music they are used to playing. Although there are times for this in worship, they are far and few between. Don’t be afraid of simplicity. No one in the congregation is grading how good of a keyboard player you are based on the complexity of the music. 3. Come prepared, but don’t be afraid to change things up. It is important that you come to rehearsal with a plan, having your part nailed down. However, sometimes what you have practiced does not work with the rest of the band. When this happens, don’t hesitate to try something different. It may be as simple as taking things up an octave or switching from playing chords to some type of pattern or sequence. 4. Play in a different register than the other instrumentalists. It is common for the electric guitarist, acoustic guitarist, and keyboardist to all hang out in the same register. They all just chord along in the mid-register, not realizing they are all doing same thing. This makes for a muddy, small sound. Each instrument gets lost in the mix and the song loses its interest and impact. To fix this, someone needs to break away. The electric guitarist could go into a lead part, or the keyboardist could jump an octave and start playing an arpeggiated pattern. The possibilities are endless. 5. Don’t forget about dynamics! New musicians tend to have one dynamic – loud. After all, they want to be heard! I have seen it time and time again: the keyboardist starts a song that should be soft and intimate, but they are banging away at the keys like it is some big moment. Don’t let this be you. Pay attention to how the song is moving and use dynamics to add impact and interest to the music. 6. Use a pad to eliminate awkward transitions. Transitions between songs can be tough, especially when you are going between songs in different keys that don’t get along. I have found that a simple pad can fix this problem. As soon as the last note of the previous song has almost died off, fade in your pad for the next song. Then, let it ‘breath’ for a minute before the song actually starts. Although this isn’t always the best option, it is a good fallback. 7. Don’t hesitate to try different patches. Piano players (including myself) tend to be partial to the traditional piano sound – that is what we fell in love with! However, don’t be afraid to try something different, like a pad, strings, or rhodes. You can also experiment using a regular piano patch but adding delay and reverb to change things up a bit. Be creative! 8. Music theory has a tendency to cloud out creativity – don’t let it. Those trained in music theory have a hard time changing things up. They want to stick to the exact chords that are written and have a tough time playing a lead or pattern instead of chords. It is also hard for them to play by ear as they are used to following note-by-note sheet music. Don’t get me wrong – music theory has it’s place. But, don’t let it get in the way. Sometimes you just need to get out of your head and let creativity flow. Some great ideas here Kade thanks so much for sharing them. 2 Simplicity and 6 pads to give breathing space in transitions – yes. It’s so important that we leave room for us all to listen as well as express our heart to God during sung worship. Hello this is very helpful…. I aready thought some of this but its nice to get it confirmed. A challengeI know is getting some others in our worship group to understand this…without some of them feeling they are being told what to do. Some have played their way for years and some are probably better muscians then me but its how the overal sound works together for our church worship matters..
^^^^ THIS! So much this! I struggle with that all the time. How do you tell someone to “tone it down” without it sounding like you just don’t like how they play. I love to hear great classical piano, but that sound just doesn’t work with a worship band and I’ve not figured out how to convey that message without offending MUCH more talented musicians than myself. Love this post! I have had such a time transitioning from a classically trained and church pianist to a worship team electric piano and midi over the past 4 months. Sometimes it feels boring, so I have started trying different things and searching the internet for tutorials or different arrangements to mix things up when I have the time. I LOVE playing in the band but it has come with challenges I never expected. Thanks for this website – it is a great tool!! OMG!!!! This is awesome!!! As a worship keyboard player, I’ve never struggled with breaking away from the chart (I have a gospel background), but playing in contrasting registers is something I’m now learning. I used to play in gospel settings, where the keyboard or organ was dominant, but now I play in a band where the acoustic or lead guitar is dominant, so I’m finding my place. Also, pads are always super helpful for transitions. Thanks Kade!!! I would say music theory gives you more options and is more creative, especially for improvising. However the people that have been trained to read off sheet music, in my experience they have a hard time playing off a chord chart. This is so helpful. These ideas can probably help me improve a lot in my worship team. I like the idea to use different sound or add some more effect to piano sound to be more creative. Thanks very much for sharing these thoughts. Hello All! I am a newbie to keyboard playing and some of the items mentioned in the post are unclear to me. For instance, does register mean key? What is a piano patch or pad? Hey Marlene. Playing in a different register means playing a different octave. A piano patch is any specific sound you are using on your piano (i.e. organ, piano, etc). A pad is a synth patch that sounds kind of like strings, but more drowned out and ‘spacey’. Hope that helps. A google search on these things may help clear things up even more. So true! 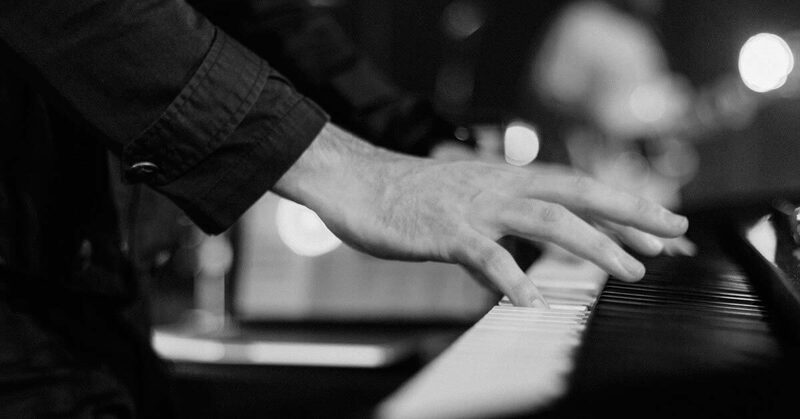 Many piano players think that they have to go through expensive lessons to be able to play beautifully and effectively on the worship team, but that’s not true. There are so much beauty and power in simplicity in today’s world. I love teaching them how it all works, and see their surprise that they had the skill to play amazing all along! Great tip on dynamics, Tia. Thank you!